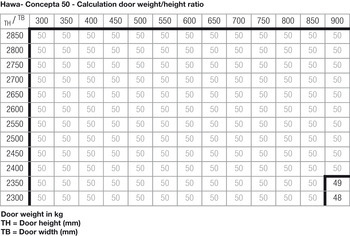 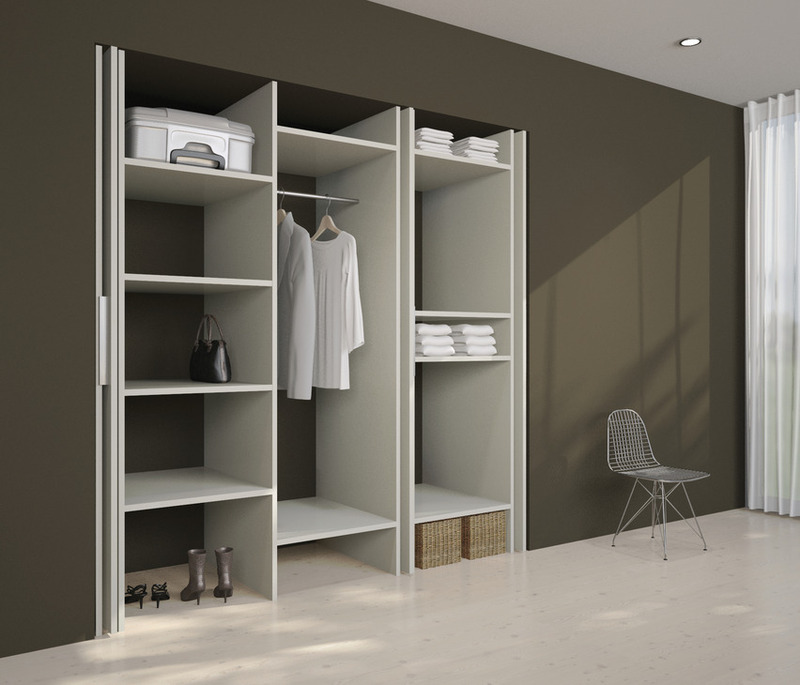 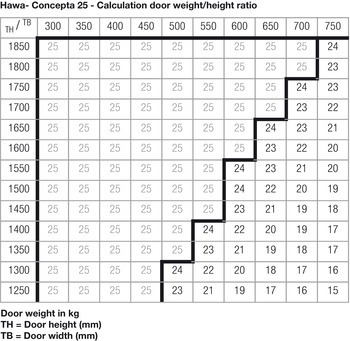 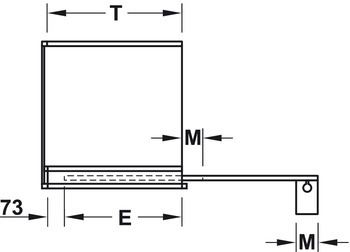 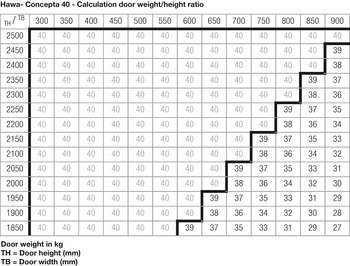 The rebate allows the use of wooden doors with thickness of >30–50 mm. 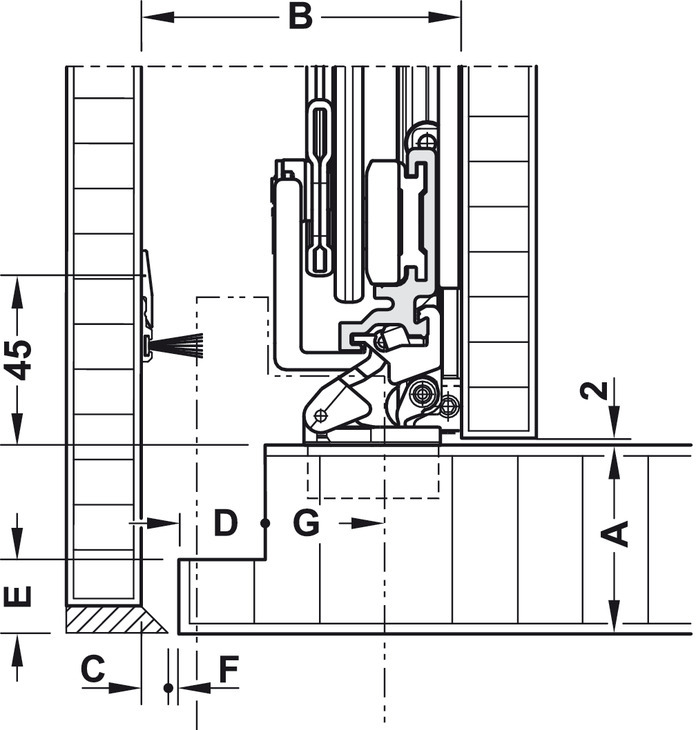 T = max. 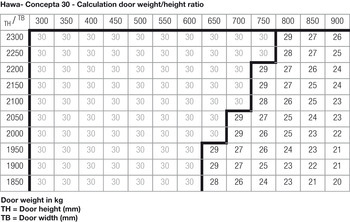 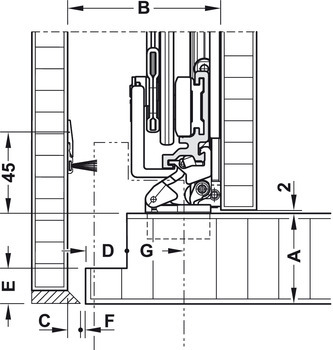 permitted distance for mounting the fitting measured from the inner side of closed door to rear edge of fitting. 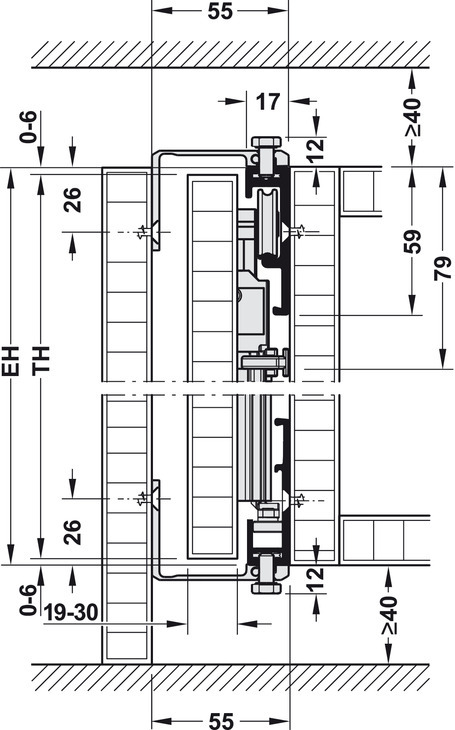 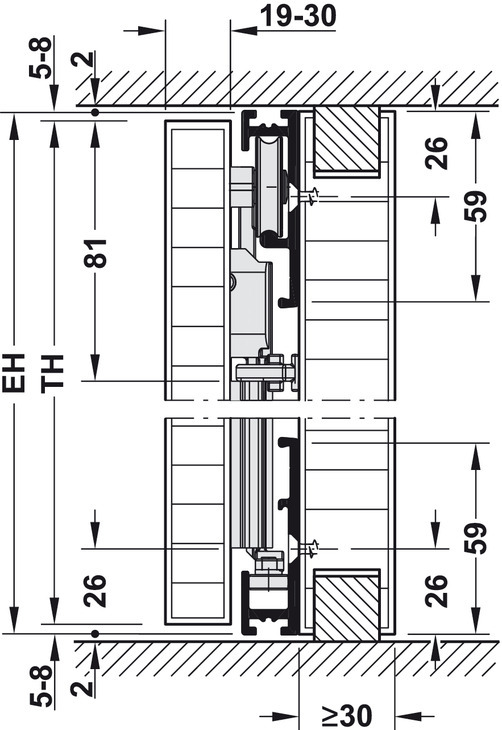 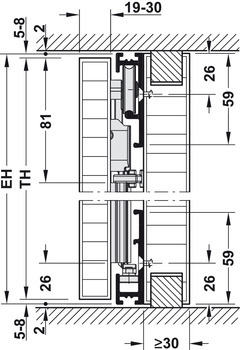 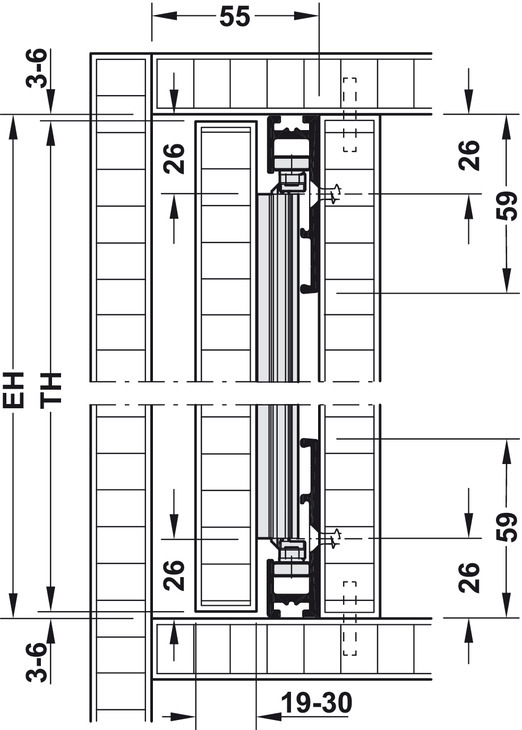 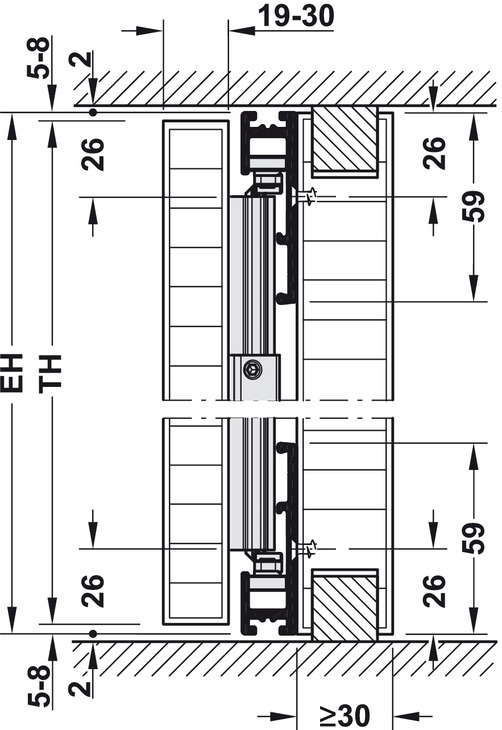 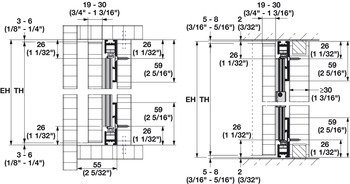 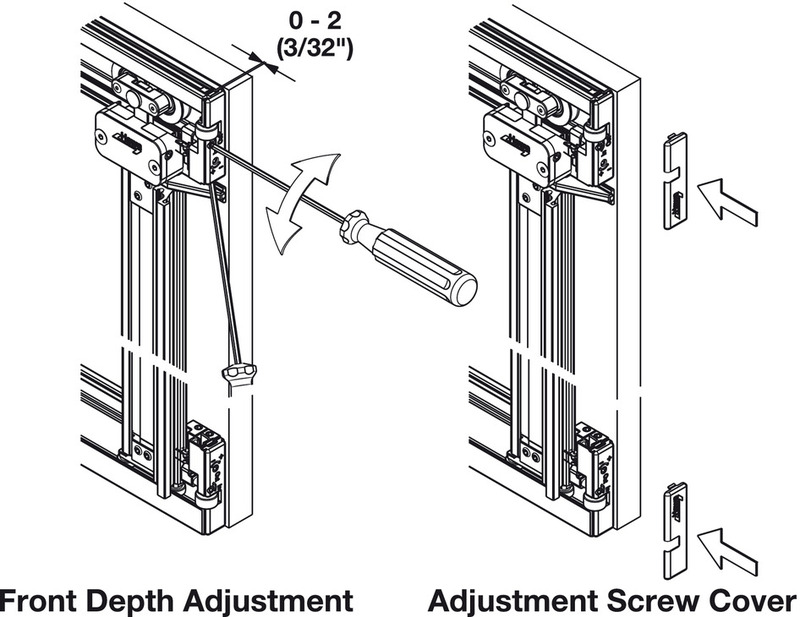 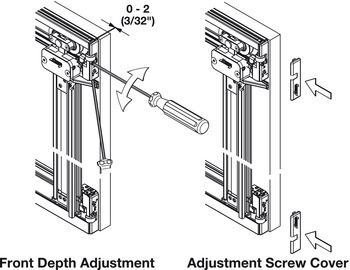 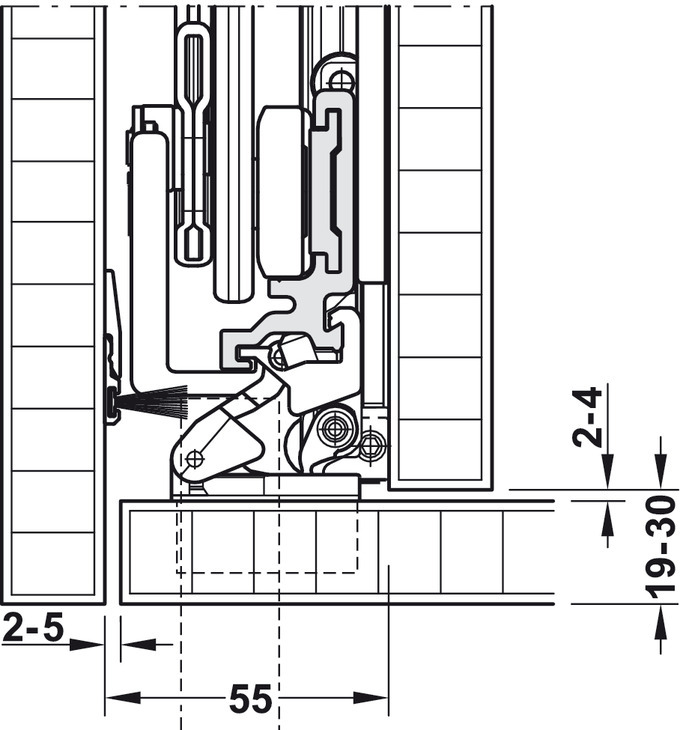 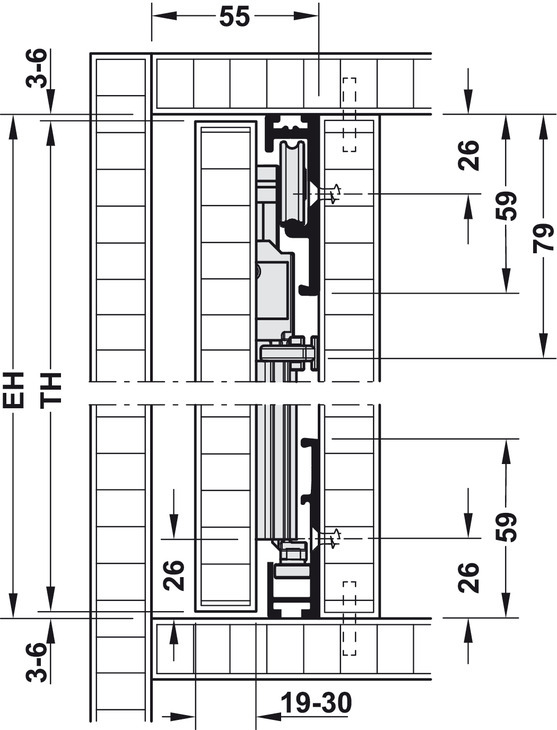 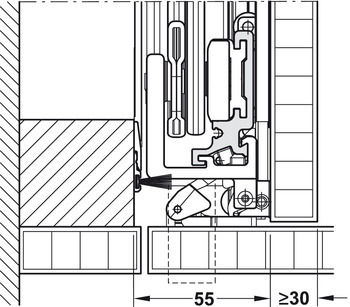 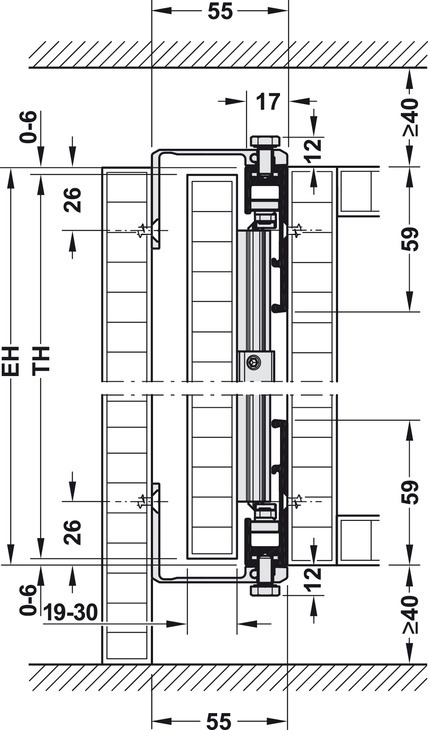 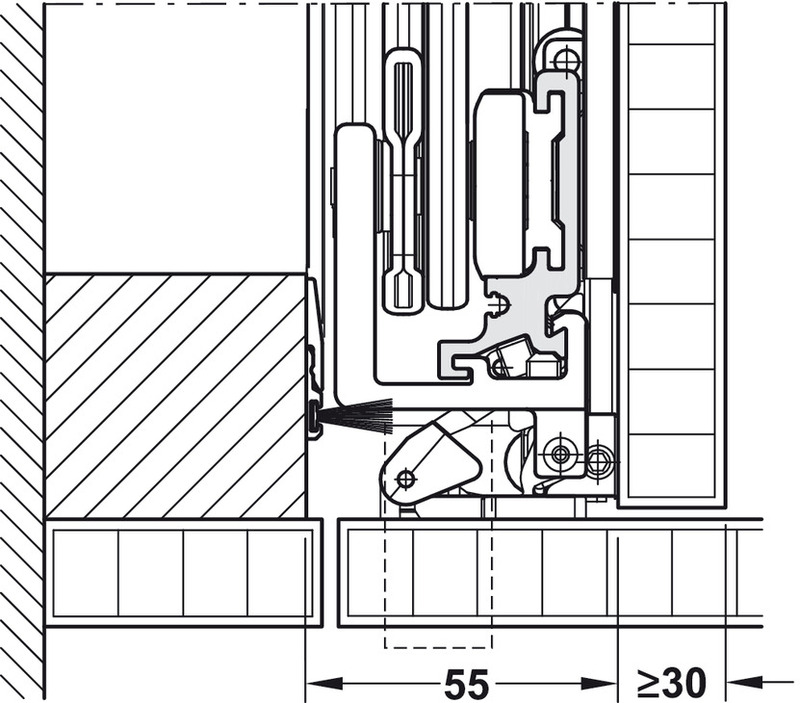 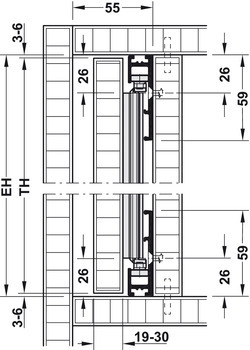 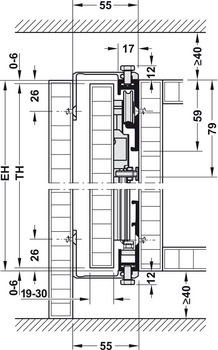 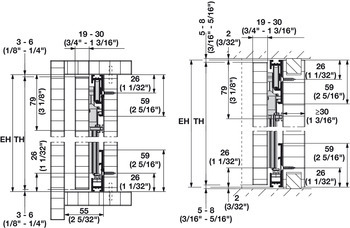 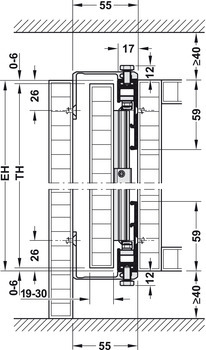 If the doors of adjoining cabinets coincide when one door is opened due to the design, then the door handle height must be taken into consideration accordingly. 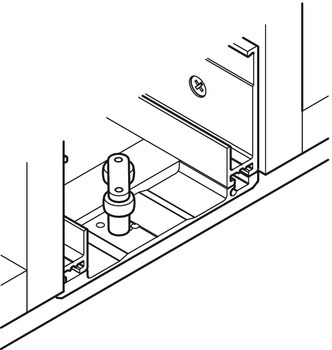 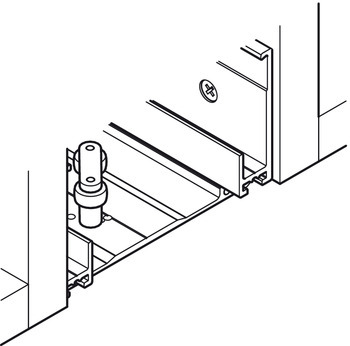 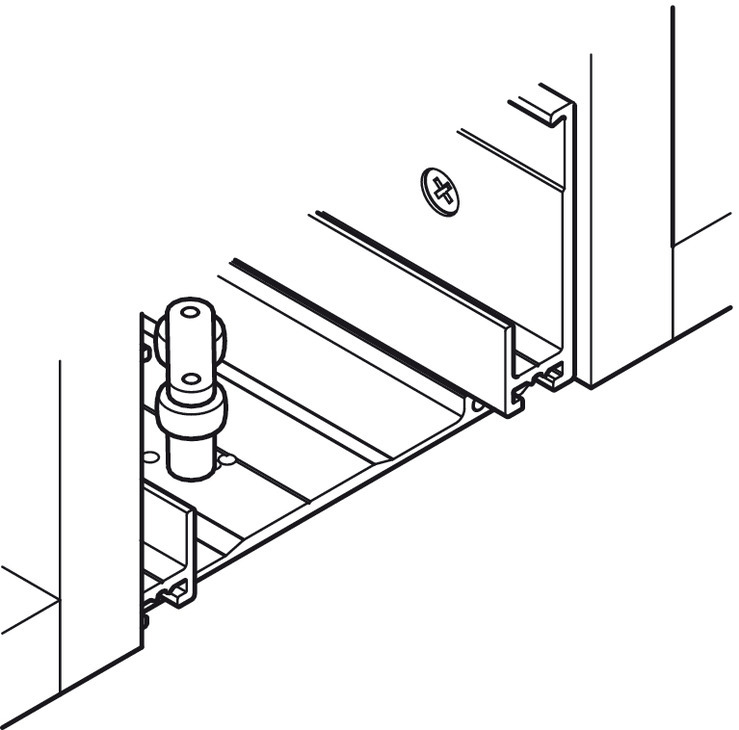 We recommend mounting inset handles or flush pull handles on site. 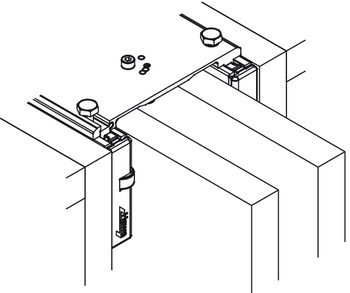 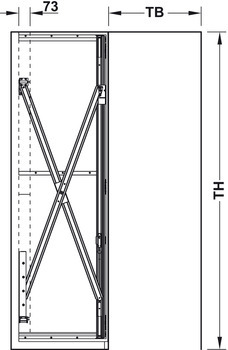 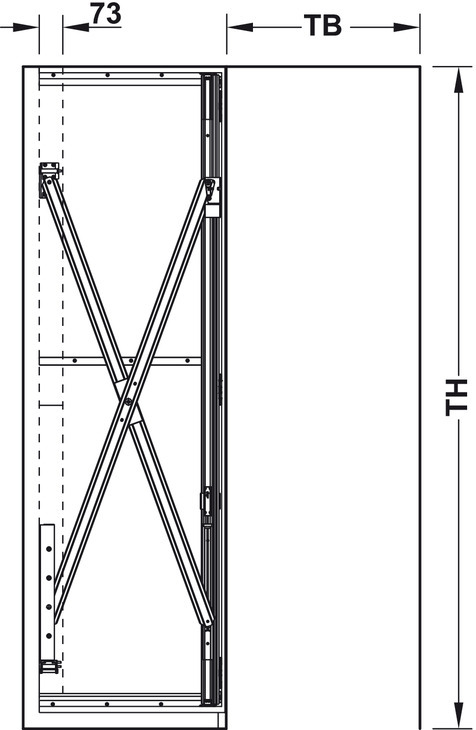 The same connecting profile can be used at top and at bottom for constructions with adjusting feet. 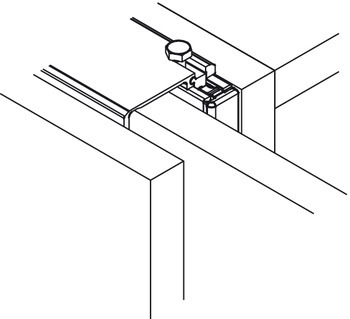 A short connecting profile (26 mm) is available for version with fixed plinth.